"The Nazi Scourge: Postal Evidence of the Holocaust and the Devastation of Europe," an award-winning exhibit of over 300 World War II era documents related to the Nazis attempted extermination of Jews and others, will be publicly displayed for the first time in Massachusetts. Examples of counterfeit 5, 10, 20 and 50 pound denomination Bank of England paper money, created by slave laborers at the Sachsenhausen concentration camp during the Nazis' 'Operation Bernhard' project to undermine England's economy, are in the collection of World War II era Holocaust-related items being preserved by the Florence and Laurence Spungen Family Foundation Holocaust Collection. The infamous fake bank notes scheme was the subject of the award-winning 2007 motion picture, 'The Counterfeiters'. 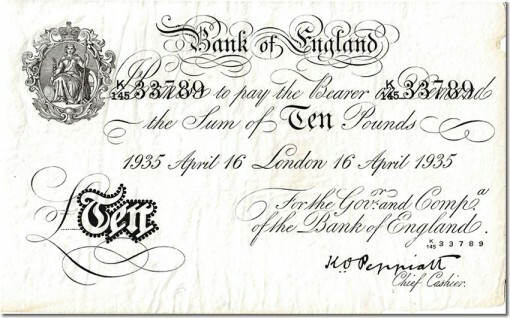 The exhibit includes examples of counterfeit Bank of England paper money printed by slave laborers during "Operation Bernhard," the Nazis failed plot to undermine England’s economy and the subject of the 2007 Oscar-winning motion picture, "The Counterfeiters." The exhibit also includes envelopes, post cards, letters, specially-designated stationery used exclusively by concentration camp inmates, Jewish ghetto residents and prisoners of war. It will be displayed for students, faculty and invited groups at the Northfield Mount Hermon School in Mount Hermon, Massachusetts (www.nmhschool.org), September 29 to October 6, 2010, as part of a week-long colloquium about the Holocaust. Additional information is available from the school by calling (413) 498-3233. The exhibit is owned by the Illinois-based Florence and Laurence Spungen Family Foundation which has been acquiring these extraordinary items for their expanding Spungen Holocaust Collection to preserve and offer them for public use at Holocaust and genocide educational venues around the world. 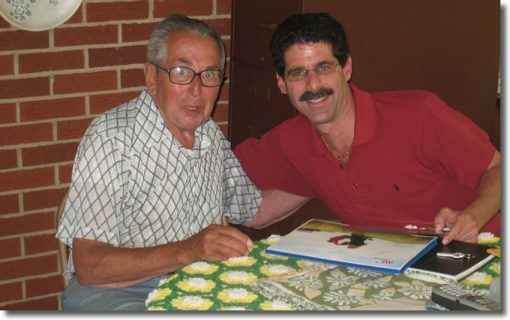 The last remaining survivor in the United States of the 'Operation Bernhard' project, Hans Walter (left), and Daniel Spungen of the Florence and Laurence Spungen Family Foundation. Daniel Spungen, a member of the foundation’s board, has visited in the past year with three remaining inmate survivors of the Operation Bernhard project, including Hans Walter, 88, of Mansfield, Ohio, the only survivor living in the United States. He was one of 142 Jewish prisoners at the Sachsenhausen concentration camp in Germany who were forced to create counterfeit paper money. "Hans was one of the final inspectors of the counterfeit Bank of England notes made by the Jewish prisoners under the command of General Bernard Krueger," said Spungen. "Despite his advanced age, he’s graciously provided numismatic researchers with information about the production of the notes." The Florence and Laurence Spungen Family Foundation was established in 2006 to support charitable and educational causes. Many of the historic artifacts now can be viewed online at the foundation’s web site, www.SpungenFoundation.org.